Have a blast of an evening with improv theatre, music and a movie on the large screen. 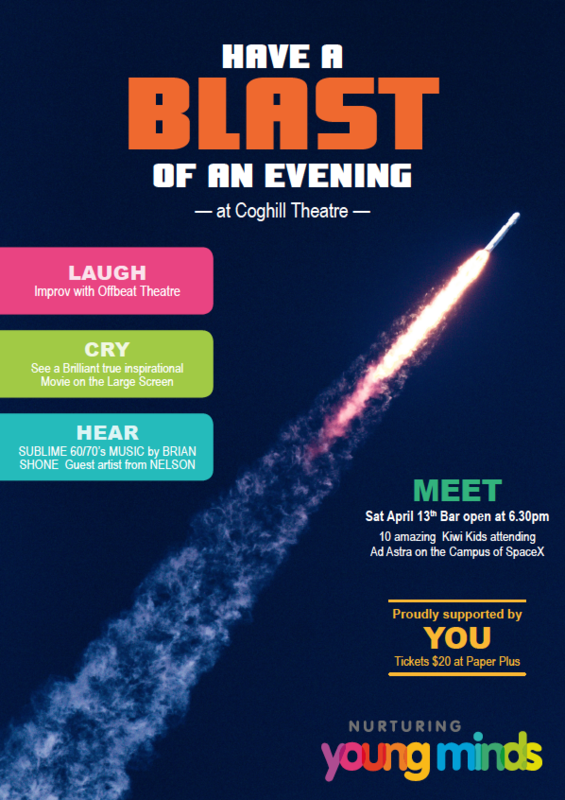 Enjoy this fantastic evening of entertainment and meet 10 amazing Kiwi Kids attending Ad Astra on the Campus of SpaceX. Hear - Sublime 60/70's music by Brian Shone, Guest artist from Nelson. Tickets $20 at Paper Plus or at the door.